Guest Cast: Esai Morales (NCIS Deputy Director Louis Ochoa), Kerr Smith (FBI Special Agent David Ross), Medalion Rahimi (NCIS Special Agent Fatima Namazi), Délé Ogundiran (Janet), Rima Haddad (Rana Azim), Stephen Chang (FBI Special Agent Yim), Stacie Greenwell (Sonya Morales), Julie Zhan (Annie), Toby Meuli (Dan), Amir Kamali (Abbas Jalal), Danny Boushebel (Wasim Ghulam), Austin Bowerman (FBI Special Agent Nelson), Raz Adoti (Masked Man), Reece Rios (Mr. Ryland), Gillian White (Instructor), Bianca Lopez (Paramedic). Air Date: Sunday, Jan. 27 (9:00-10:00 PM, ET/PT) on the CBS Television Network. "Smokescreen" -- Pictured: Chris O'Donnell (Special Agent G. Callen) and LL COOL J (Special Agent Sam Hanna). 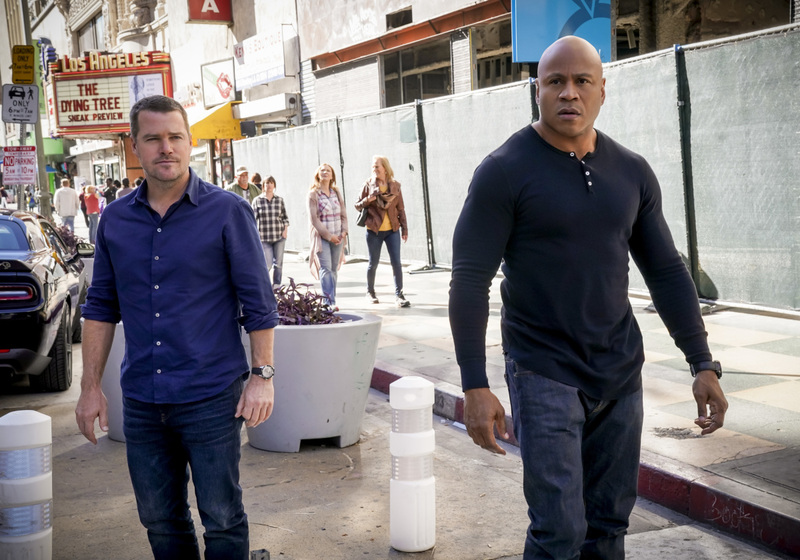 The NCIS team partners with the FBI to locate a terrorist cell in Los Angeles believed to be prepping for an imminent attack, on NCIS: LOS ANGELES, Sunday, Jan. 27 (9:00-10:00 PM, ET/PT) on the CBS Television Network. Photo: Cliff Lipson/CBS ÃÂ©2018 CBS Broadcasting, Inc. All Rights Reserved.